Dr. Muljano has immense experience as a Hemato-pathologist in treating all types of Cancer patients in leading centers in country-Australia. 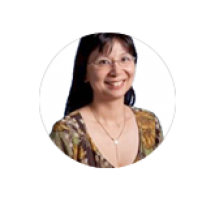 As a Professor of Medical Oncology, she specializes in further pathology field. Dr. Muljano spent three years training at Westmead Hospital, which included rotation to Douglass Hanly Moir Pathology laboratory, the Children's Hospital, and Westmead Forensic Pathology. After another two years within a private pathology practice, she completed her training and FRCPA postgraduate studies in 2007. At that time, Dr. Muljano joined Douglass Hanly Moir in the Anatomical Pathology Department. She has over 15 years of experience of satisfied patients in her field. She is now extending her knowledge further in her special fields. Dr. Anita Muljano graduated with a medical degree from the University of Sydney in the year 2000 and completed her internship and residency years at Westmead Hospital, including rotations to the Blacktown, Auburn and Mt Druitt Hospitals. She was awarded Resident of the Year 2001 and decided to continue her studies and specialized in pathology.